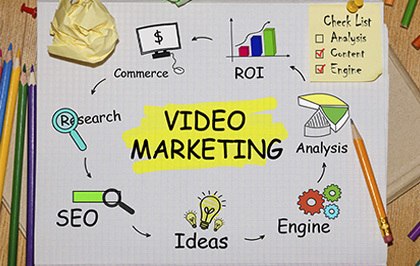 Video marketing is what it sounds like - using videos for brand promotion and marketing. 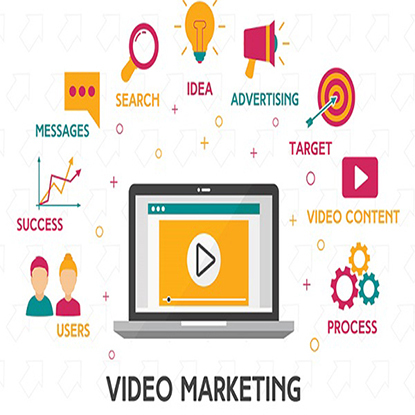 In video marketing, the aim is to create awareness about your brand, build sales, and have a platform to engage with customers. How-to videos about the way your products or services should be used. Videos of important events or experts. This could be of events you have hosted and internal experts, or events of interest to your customers/industry, and external experts. Background videos, which help you explain why the potential consumer needs your product or service. This is an easy and effective way of building consumer interest in what you have to offer. Videos about happy customers. Client or customer testimonials go a long way in building trust. Emphasize on credibility when creating such videos. Brand overview videos. These videos give an introduction to the brand, the products and services it provides, its impact on the lives of customers, employees and society, and the future plans of the brand. Videos help boost your rankings on search engines. With clicks and comments, video is an effective way of boosting your online presence. Videos lead to more customer engagement, which means there is higher chance of conversion and sales. Videos are versatile, so you can use them on multiple platforms, from YouTube to TV to smartphones. A combination of image and sound is scientifically proved to be retained better, which means videos are impactful. Research suggests that audiences prefer to build a relationship with a brand after viewing videos. They also build trust, engagement and can lead to increase in sales. Help you create a video marketing plan, focusing on the purpose and audience of your business videos. Create a video content calendar, to help you decide how and where a particular video should be posted. Assist you in deciding the appropriate metrics to gauge if your video campaign has hit the bull's eye. Help conceptualize and create storyboards for your videos. Our links with production companies mean that we can guide you to the appropriate service provider. Post the video to appropriate platforms and push it on social media, ensuring that your target views are achieved. With the growing dominance of video online, it is time for your brand to invest in video marketing! If you agree, contact us.